Hi, In the image below I took 16 cubes and placed them in a 4x4 grid. OpenGL lighting is on, causing the sides of the cube to have a visibly distinct color from the top face. As you can see, seams appear where the color of those sides bleeds through to the surface. Any ideas? As long as the vertice coordinates are all the same and there are no t-junctions or whatsoever, I thought seams like this were not an issue (with the API guarantee that two lines with the same start and end coordinates are rasterized identically). Additional notes: The cubes are rendered in world coordinates (i.e. no glTranslates in between rendering two cubes), and as far as I can tell the vertice coordinates are truely identical. Thanks for any insight you guys can share with me! Problem could be a depth buffer that can't hold precise value's. Here, the Z-buffer can hold 2^16=65536 (2 bytes) different values. I think your Z-buffer is set to 8 bits (1 byte). So the Z-buffer can only hold 256 different values. 1)setting the znear and zfar of the clipping volume closer to each other. If the problem still exists, it could be you have a bad graphics card. Thanks for the input. However, I already fiddled around with the near (and far, but near obviously has a bigger impact :)) clipping planes and it didn't change things at all. About graphics cards: the application has several users suffering from this issue, and it occurs on both my development machines (Geforce 2 and Geforce 6600 with latest drivers installed), so I think I can safely rule out "bad graphics card". Even theoretically I don't see a compelling reason why those lines shouldn't be rendered. 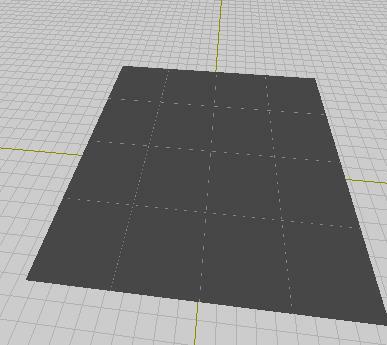 Why the edges of the cube be rendered in the color of the top face, and not the side? I am stumped. Again, any input on this issue would be most appreciated! would not polygonoffset help in this case? what is your depth function? Isn't this just perfectly normal Z-fighting? It'll happen whenever you have two overlapping polygons close to each other in the Z direction (in this case, infinitely close at the edge). Polygon offsets may help, or possibly changing the draw order; but the best solution is to just not draw the side faces that shouldn't be visible. If you want to check that the vertices are truly identical, == should evaluate to true (it'll be false even if they're little bit different). For example 0.01==0.1*0.1 is false on my compiler. The only way I was able to reproduce that problem was by setting the polygon mode to line, drawing it, change the polygon mode to fill and redraw it. You can see it just drawing a single quad that way. If the line is horizontal or vertical then you don't seem to get it, but if it's at an angle you see it. First of all, thank you guys for all the input! Ademan555: Not a bad suggestion, but I am pretty sure at least one of our users experiencing these problems is on ATI. Also, I have come to understand the 'issue' at hand here is completely natural, so I would expect it to happen on ATI cards as well. Fingers_: I believe you are right. Polygonoffset is not a solution, as I am dealing with polygon soup (I am guessing you/Eitsch meant using a different polygon offset for the top faces to make sure they are rendered over edges the side faces). Not drawing the inside faces is definitely the ultimate solution, but we are talking a generic 3D modeler here: it's artistic users deciding to weld cubes together, not me :) However, we'll probably be offering some "fix geometry issues" functionality in the future, to automatically remove such inner faces. LilBudyWizer: Yep, the effect is dependend on camera angle. Which makes perfect sense if it's just natural z-fighting due to edges being infinite close to each other. I don't know what you call z-fighting. I always assumed that what people meant by that was rounding errors on the depth values. That isn't what I saw. You can turn the depth test completely off and still see it. Line mode includes pixels in the edge that are not part of the polygon in fill mode. It's more that the pixel is in the wrong place than that it has the wrong depth.